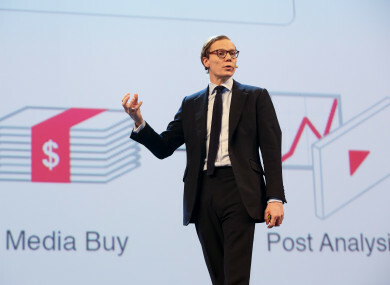 CAMBRIDGE ANALYTICA, the UK marketing analytics firm at the heart of the Facebook data scandal, has announced it is “immediately ceasing all operations” and filing for insolvency in Britain and the United States. “It has been determined that it is no longer viable to continue operating the business,” the company, accused of misusing tens of millions of Facebook users’ data, said in a statement. The political consultancy firm has been linked to Donald Trump’s 2016 presidential campaign. Facebook has since tightened its privacy restrictions. Cambridge has denied wrongdoing, and Trump’s campaign has said it didn’t use Cambridge’s data. In light of recent events, UK Counsel Julian Malins was retained to conduct an independent investigation into the allegations regarding the company’s political activities. Malins’ report, which the company posted on its website today, concluded that the allegations were not “borne out by the facts”. “I had full access to all members of staff and documents in the preparation of my report. My findings entirely reflect the amazement of the staff, on watching the television programmes and reading the sensationalistic reporting, that any of these media outlets could have been talking about the company for which they worked,” Malins said. Cambridge Analytica said in a statement this evening that despite its “unwavering confidence that its employees have acted ethically and lawfully, which view is now fully supported by Mr Malins’ report, the siege of media coverage had driven away virtually all of the company’s customers and suppliers”. As a result, it had been determined that it is no longer viable to continue operating the business, which left Cambridge Analytica with no realistic alternative to placing the company into administration. “While this decision was extremely painful for Cambridge Analytica’s leaders, they recognise that it is all the more difficult for the company’s dedicated employees who learned today that they likely would be losing their jobs as a result of the damage caused to the business by the unfairly negative media coverage,” the statement continued. The firm has said it is committed to helping the UK investigation into Facebook and how it uses data. But UK Information Commissioner Elizabeth Denham said in March the firm failed to meet a deadline to produce the information requested. With reporting by AFP and Associated Press. Email “Cambridge Analytica shuts down amid Facebook data crisis”. Feedback on “Cambridge Analytica shuts down amid Facebook data crisis”.